Flat 5/8 inch wide doubled and stitched headstall in chestnut bridle leather. Short cheeks swelled at the bitend with 3/4 inch concho Chicago screws 2 inch bridle buckle conchs on cheeks. 1 1/2 inch conchos at the browband. Number 24 ½ buckle on the ½ inch throatlatch. All hardware sterling silver except for the Number 12 buckle behind left ear. 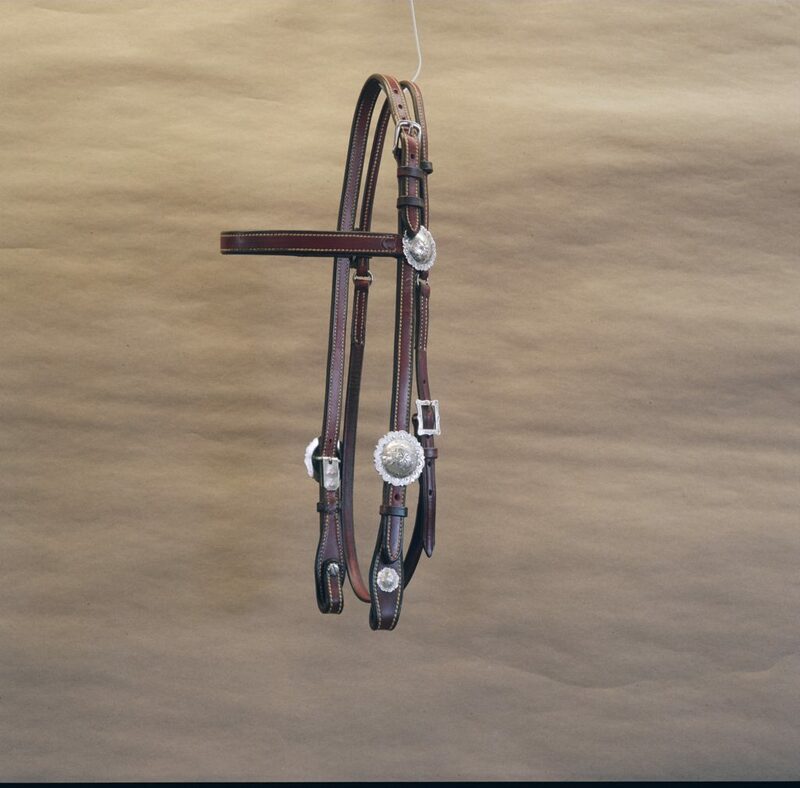 This headstall can be had in Tan, Chestnut, Brown or Dark Brown bridle leather.